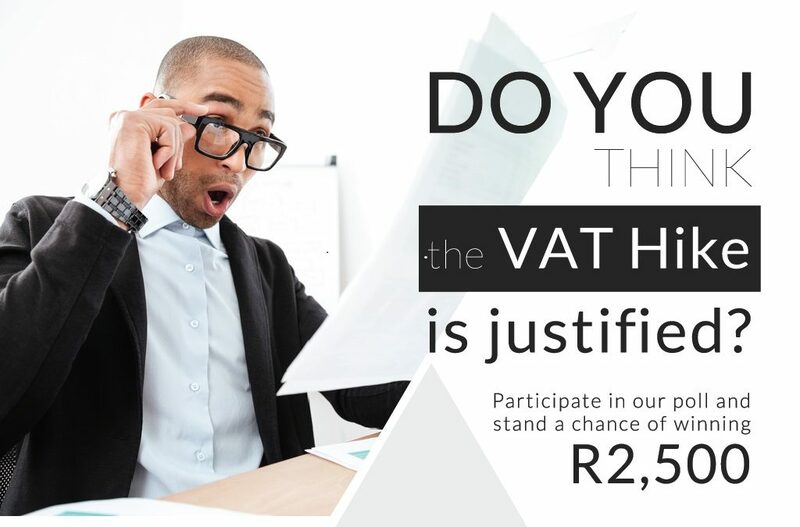 InsuranceFundi | Do you think the 1% VAT increase is justified? On the 1st of April 2018 VAT increased by 1% to 15%. What are your feelings on this? Do you think the Finance Minister’s announcement was justified? The VAT increase is central in a set of tax increases which include a 52 cents per litre increase in fuel levies aimed at generating an additional R36 billion for the country. Do you think this is fair or is it simply a “get out of jail” card played to fill the empty coffers that have recently been looted? Why don’t you participate in our latest poll and you can stand the chance of winning R2,500! Do you think government is justified in increasing VAT?